Keith Mahaney led the Yankee Conference in scoring his junior year, averaging 21.8 points per game. During the 1956-57 campaign, he was second in the conference (22.6) and tops in the Maine State Series (23.7) in scoring average. As a senior, he broke nine individual Black Bear records and tied his own single-game scoring mark, recording 39 points against Massachusetts. At the time of his graduation, Mahaney owned 11 Maine basketball records. Over the course of his career, he received numerous accolades, including All-Maine (two times), All-Yankee Conference (two times) and All-New England All-Star. 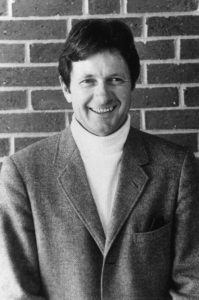 Mahaney was inducted into the University of Maine Sports Hall of Fame in 1993 and the State of Maine Sports Hall of Fame the following year.